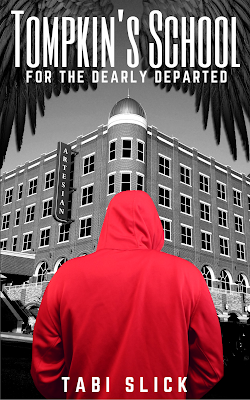 YA Bound Book Tours: Review Copies Available: Tompkin's School: For the Dearly Departed by Tabi Slick! Review Copies Available: Tompkin's School: For the Dearly Departed by Tabi Slick! 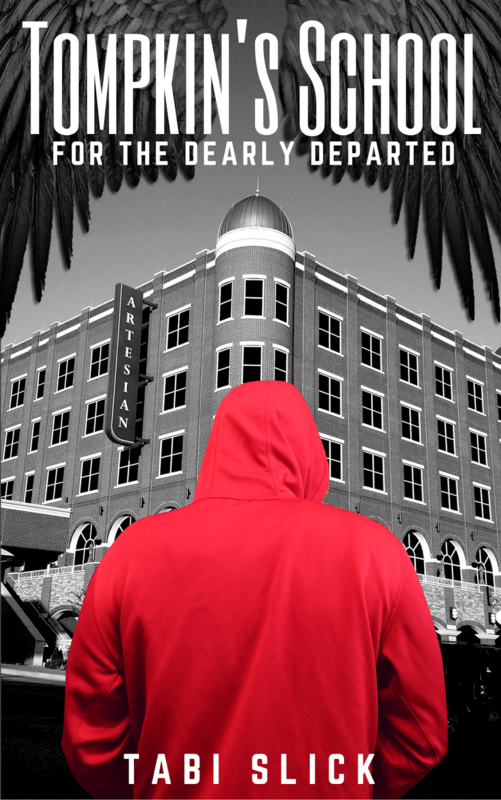 Author Tabi Slick is offering review copies of: Tompkin's School: For the Dearly Departed for interested bloggers. This review tour will run May through July. Bloggers will receive an e-copy of the book and will have until the end of July to post their review(s) on Amazon and their blog. This is different from a blog tour as there will be no set schedule, bloggers must review on their own time (before the end of the deadline). If you would like to participate, please fill out the form below. Please note that signing up will not guarantee you a review copy. Selected bloggers will be notified by email. Visions of the past, powers beyond belief, and a school that has been waiting for them for over a hundred years. Kain and Izara's abilities have advanced far greater than they ever imagined possible and it's all due to their new friend that has joined them. This year will bring the Torvik twins closer to solving the mystery of who they are, why they have these powers, and even closer to unveiling the school's most haunting secret. “The lights of the Artesian Hotel flickered as the party drew on into the night. I saw Bart Bessler dancing with Mary, and the bright, dazzling yellow eyes of the French, red-headed woman as she drew in the light around her. I shivered at the sight of the wolf-man killing one of the intruders that night they had chained Bart to the ground.“Destiny of beings is about to come to fruition,” the voice of the being’s human companion rang in my ear.The scene turned to liquid and then I saw Izzy standing in front of me.“You know his face,” a voice that didn’t belong to my sister bellowed from within her.I will return....I will return to my children. Tabi Slick was born in Kansas and grew up in the country where she was homeschooled for the greater part of her childhood. In middle school, her family moved to Davis Oklahoma where she attended public school for several years. Here she began her writing adventure and soon the world of Tompkin's Academy came to life. 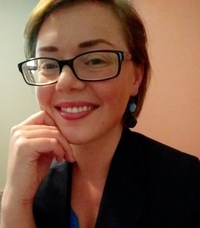 After graduating from high school in 2008, she spent a few years in Puerto Rico and wound up in Texas where she graduated with a Bachelor's degree in Linguistics from the University of Texas at Arlington. She was born with an immense appreciation for literature and continues to dedicate her time to her passion of writing.